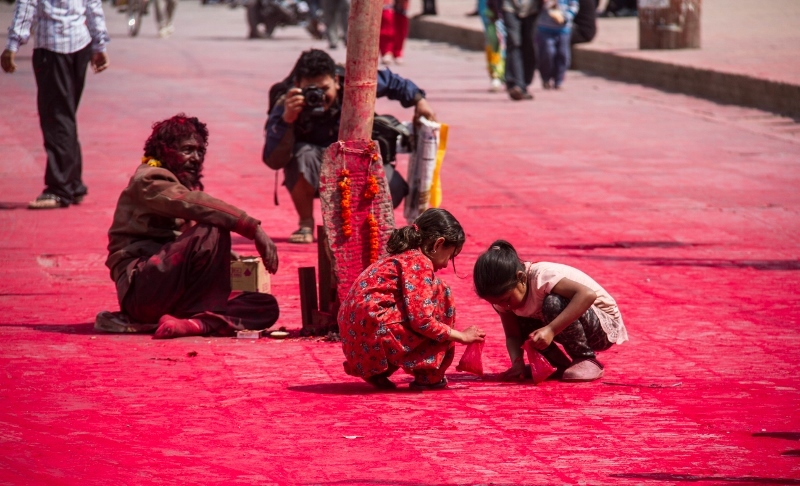 It is the world’s most colourful holiday and it returned to the streets of India this week as the start of Spring was marked by the nation’s Hindu population. 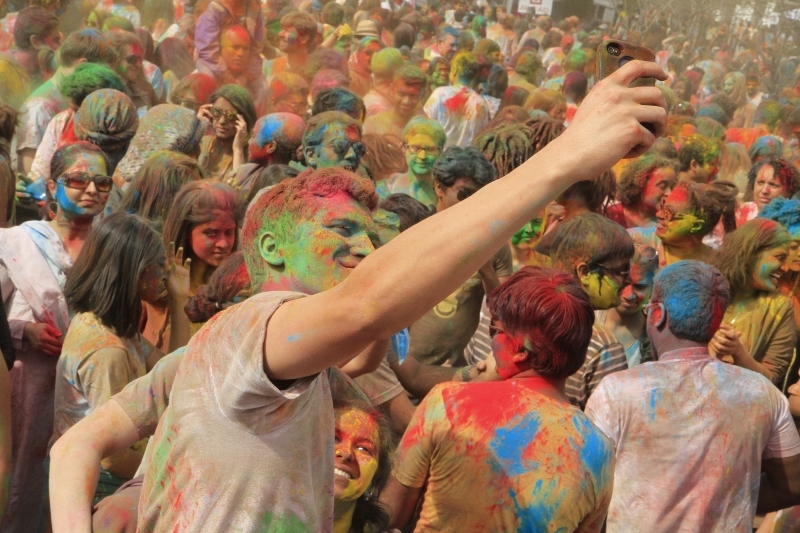 The annual festival of Holi is always a vibrant affair with many cities and rural areas throughout India overtaken by colourful powders and waters, often uniting communities and cultures. Many people in India believe the day shows that the devotion of Hindu people can augment the power of Lord Vishnu, and the day celebrates the victory of good over evil. The holiday is officially celebrated on the full moon day of the month of Phalguna, but it is observed on different dates in some areas of India. 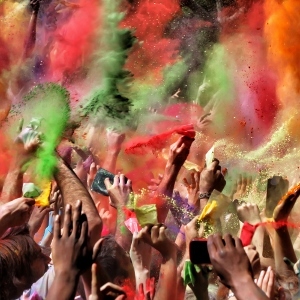 President Pranab Mukherjee shared his Holi message with the nation’s Hindus on Wednesday, praising the country’s multi-cultural society alongside the spirit of harmony and tolerance. Meanwhile, vice-president, Hamid Ansari, wished a prosperous year for his fellow Indians, on a day that marks the onset of a warmer season and the victory of good over evil. “I extend my warm greetings and good wishes to the people of our country on the auspicious occasion of Holi the festival of colours,” he said. “Celebrated with traditional fervour and enthusiasm throughout the country, Holi marks the onset of warmer season and victory of good over evil. Prime Minister Narendra Modi also wished a ‘Happy Holi’ from his official Twitter account – a message which was retweeted over 3,500 times.